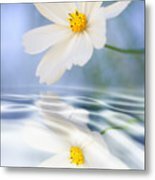 Cosmea Flower - Reflection In Water is a photograph by Silke Magino which was uploaded on January 14th, 2010. Really amazing! I love your art, Silke! The perfect moment and amount of wind on the water surface - simply beautiful, Silke! Heavenly. So soft, delicate and pure. 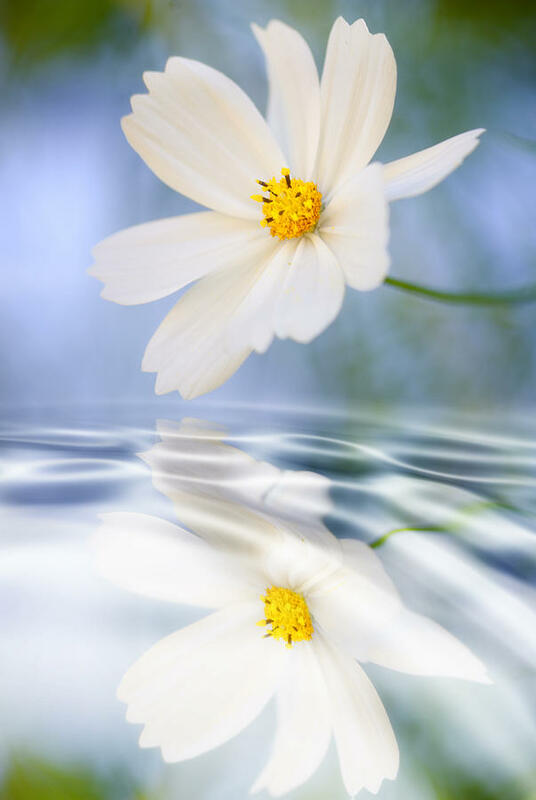 Beautifully composed Silke ... love the reflection! 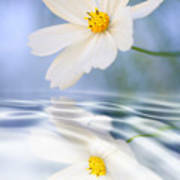 This is such a cool calming picture. The reflection is very nice, Silke. Peaceful image!